Bottles, Glassware and Blending supplies are necessary parts of aromatherapy. We recommend using glass for all your essential oils. It is better for storage of your oils and blends. We have Amber glass bottles for use with your essential oils. As you are blending and mixing your essential oils you will need clean "glass" containers. Essential oils are potent chemicals and can easily destroy LDPE plastic bottles and anything with rubber as part of its construction. 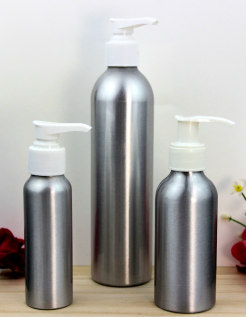 If you are blending essential oils with unscented products such as shampoos, lotions, or distilled water you will need a supply of PET plastic bottles, Beakers and glass stirring rods. We have a handy Blender's Kit to assist you in blending. This kit will help you while you mix massage oils, lotions and other unscented products with your essential oils. Includes an nice assortment of small vials and bottles. Jars for making creams, balms, ointments, bath salts and scrubs. Clear, White Amber and Blue colored. 1oz to 16 oz sizes. Plastic Bottles with Disc tops, Spray tops and Lotion pumps. Shown above are Several Products popular in the above listed categories - Please explore each category as there are hundreds of items and choices. Soak in hot soapy water, rinse, rinse, rinse and then do a final rinse with alcohol such has vodka or a denatured alcohol. Don't use rubbing alcohol as it doesn't have a high enough alcohol content (look for 180 or 190 proof). 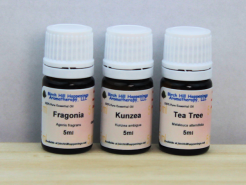 Some essential oils can be very difficult to clean from bottles and you may need to soak them for several hours or days to remove the essential oil residue. Make sure not even a hint of oil remains or alcohol for that matter as this can ruin your new blends.